These actually look pretty good. The appearance almost reminds me of those "Veggie Sticks" that used to be really popular except these look way tastier and healthier! I wonder where you can buy these? 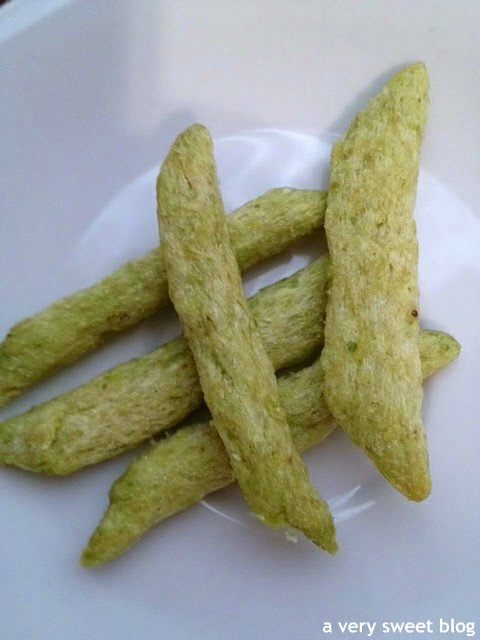 I recently started eating dry roasted edamame with dried acai berries as a healthy snack and it is pretty good. I love LOVE to snack! I would definitely try these. 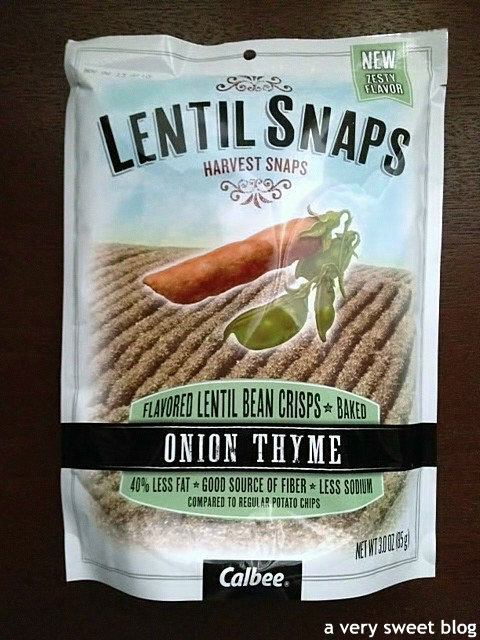 The lentil ones also sound different and tasty. I've been looking for savory snacks and these sound great! This sounds really good! Have a sweet day dear Kim! All of a sudden I'm so hungry reading this. I'd really like to try the Onion Thyme Lentil ones. That was so funny how you ate all the ones in the first packet LOL. I'm definitely going to try and source these in my area! Oh Kim, I know why you initially gave these the side eye - healthy snacks? I've had so many bad experiences with things that are allegedly guilt-free and, well, taste that way, too. But I'm taking your word for it and plan to try these out when I'm in Minnesota in September. You can't argue with anything that taste like a potato chip but packs so much protein! 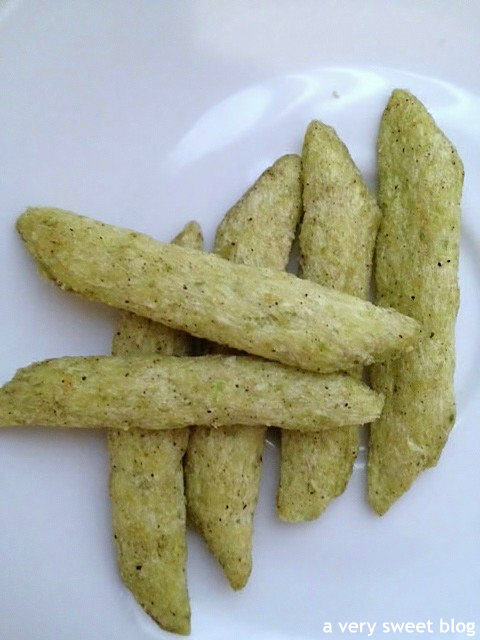 Never thought of making chips from sweet peas, but can absolutely see how wonderful it work! Must admit, I am not a huge fan of any snacks, healthy or not, but carrying something like this when out and can't grab anything would be a good idea. 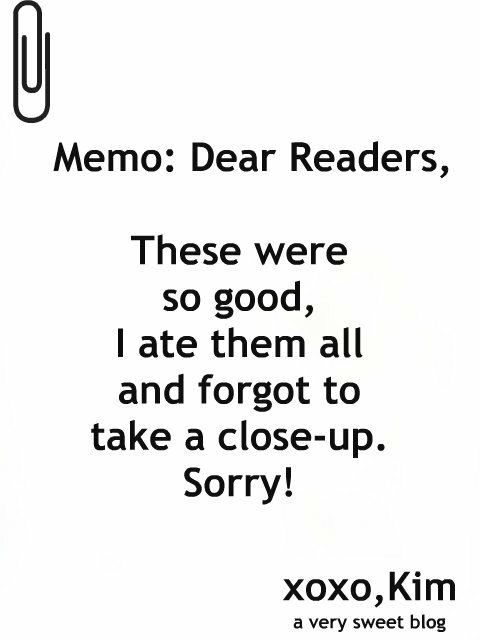 Hee hee, that memo... :-) That would so happen to me too. I think Tomato Basil and Onion Thyme would be flavors I'd like. I can see myself constantly checking the stores around here to see if we have them haha who doesn't love a healthy yet yummy snack . Oh these look like they would be so interesting to try! These sound interesting and really good. 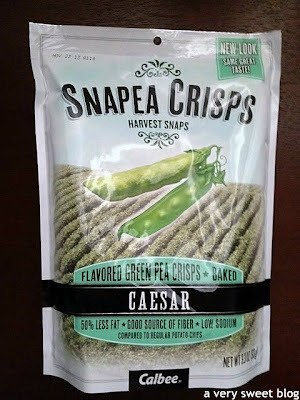 Your comment about the Caesar flavored ones made me giggle, ha ha! I am currently growing snap peas in my garden and never even thought about baking them with flavorings and eating them that way! You must know that I love crisps/salty snacks A LOT! Healthy and delicious snacks! Sign me up! These look and sound delicious and I have more of a salt and sweet tooth so they seem right up my alley. 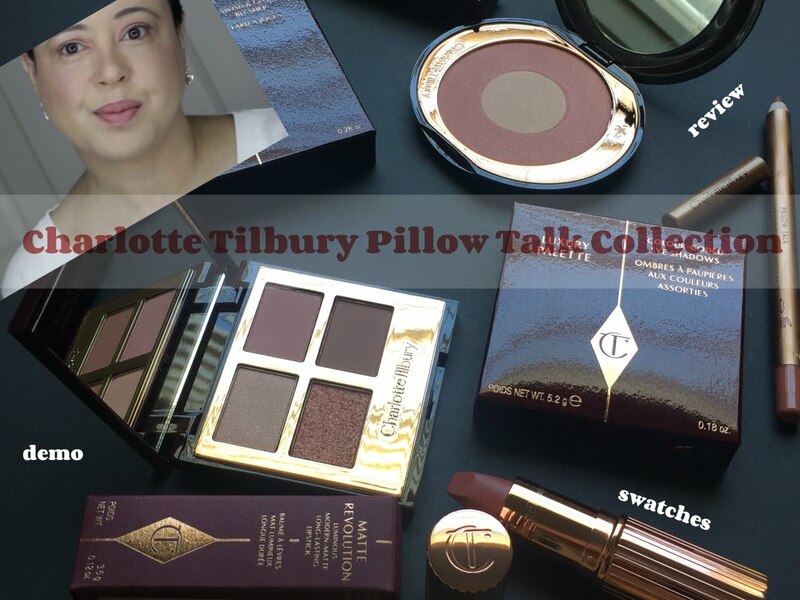 You know KIm, I am starting a list of products I want to buy when I go to the US again. This is one of them ! I love beans and peas so I feel like these would be really good and an easy snack to carry around. 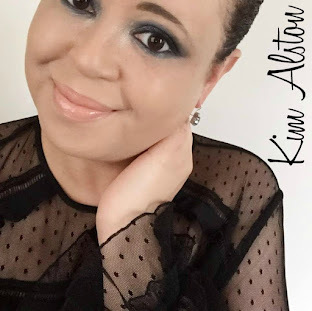 Thanks for sharing, Kim! I LOVE these! They are super delish and I can eat them like no one's business! Hi Kim! 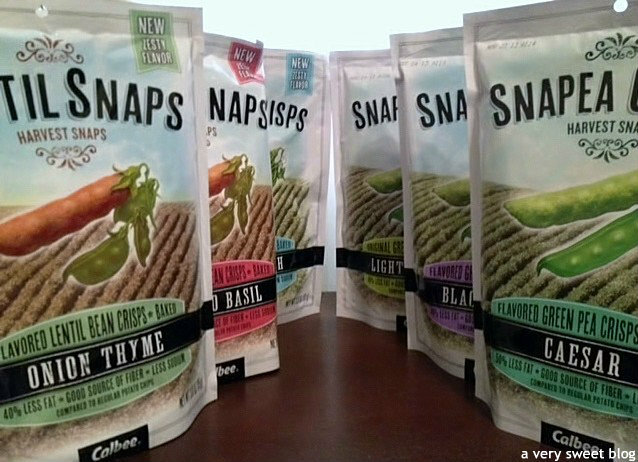 Your posts always make me smile and want to buy things...starting with these Harvest Snaps! 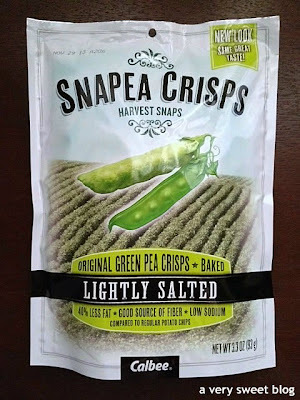 Haha, I love a good salty snack so I may want to give these a try. Yay to healthy snacks. They do sound healthy Kim. I hate those stuff that they just add veggie powder and claim to be healthy, so ridiculous. 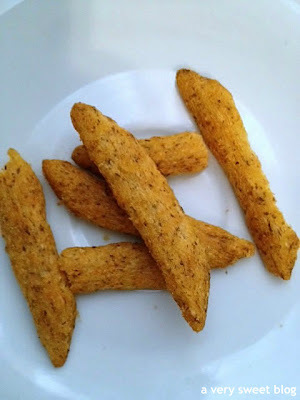 I have been trying to eat cleaner and cut chip to a minimum like once a week but i sometimes crave the crunchiness of chips. This stuff is seriously looking good. Hmm..I'm always skeptical of healthy snacks. Are they really healthy? Do they actually taste good? I'm impressed with these though..they sound great! 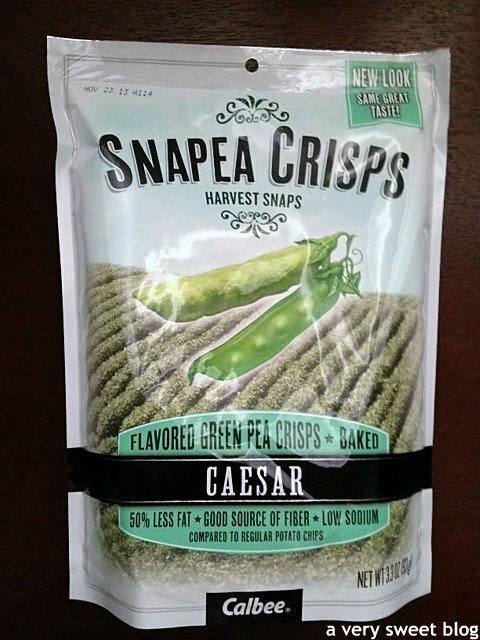 I've never heard of these, but they sound like they are a really great snack! Kim, I bought the lightly salted ones and ate the entire bag and then had the biggest stomach ache ever. It was worth it! 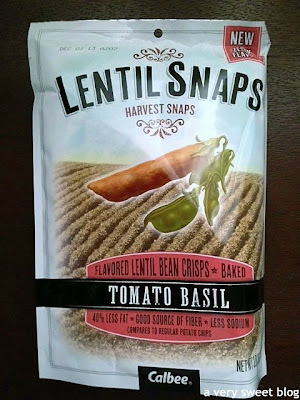 I will have to go out and try the others, the lentil ones sound really cool! It reminds me of Inner Peas by Trader Joe's. Huh, I haven't noticed them in stores yet. I would try them! Healthy snacks huh? Sounds good to me. I love that you forgot to take a picture of the first one. I did that the other day, someone went to the bakery in China Town and brought all my fave things and I literally stuffed my face and forgot to take a pic to tweet! lol! 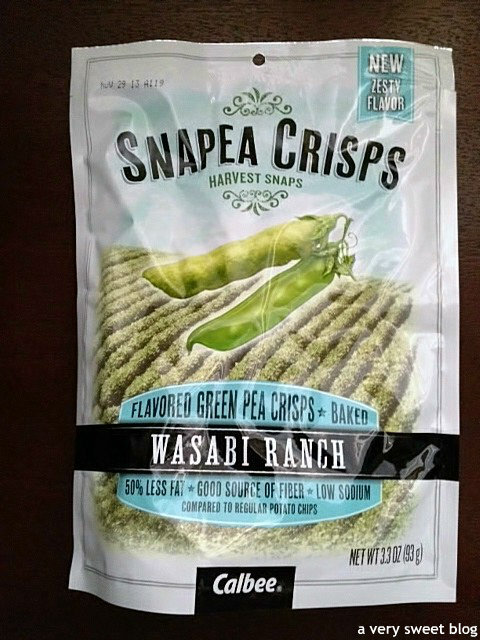 I know the Wasabi one was not your fave, but that sounds right up my alley:D Mmmmmm...and agree with having them in resealable bags. 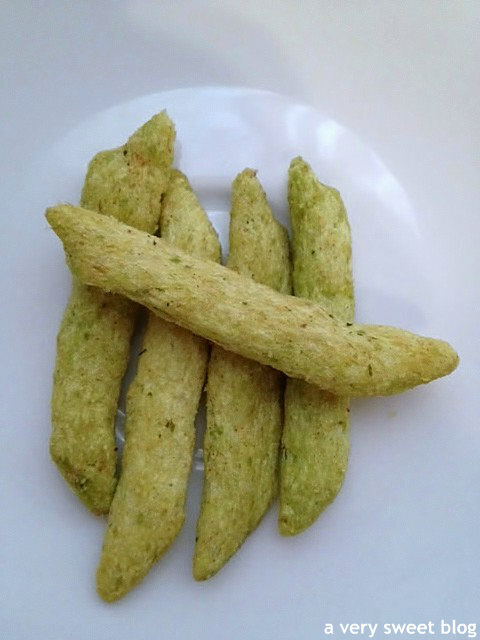 I love veggie sticks. have them before but different brand. Healthy snacks without the guilt not bad, eh. yum! 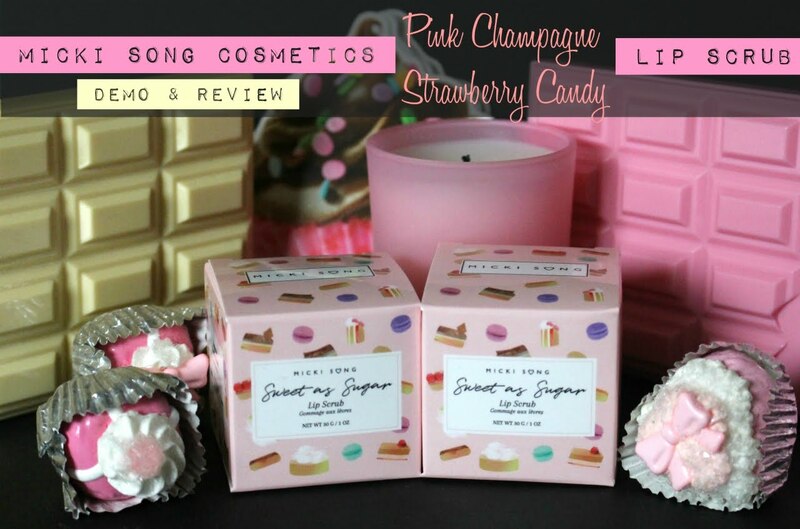 I tried those at a store and absolutely loved them! These sound so yummy! I want to try the wasabi ones! Omg these are SO good! I've only had the original thought. I didn't even know they had other flavors!! Mmmmm.... now I want some! These look great - sim to a Chinese snack my mom used for buy for me. Thanks for the review! Oh healthy snakc interesting sweetie! 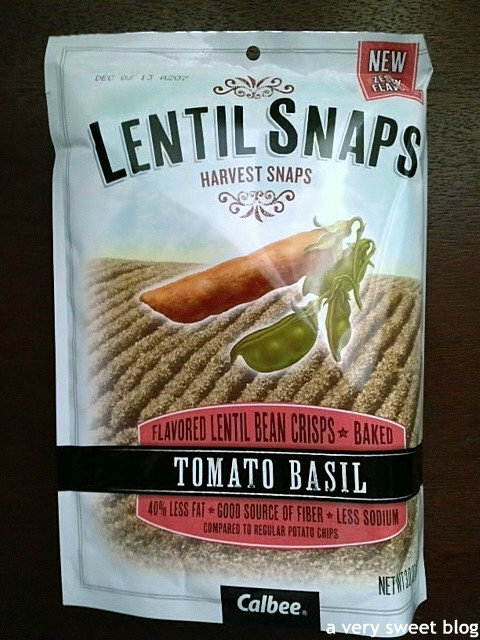 omg these look good i like the veggie ones that come in a big bag from costco! It looks like caesar flavor's the big winner! I'll look for it! They look delicious and healthy Kim! I think I might eat the whole bag! YES! I've had these. I get them for my toddler all the time. They are really good. Uber-sweet in Seattle terms. These look super interesting! Definitely worth me going to pick them up when I'm down in the states next month. Thanks for the introduction, Kim! Omg!!! 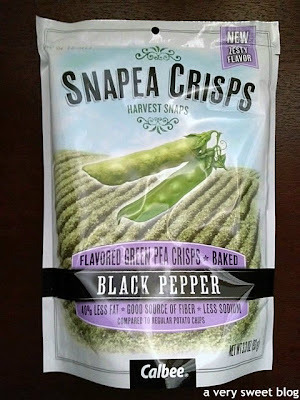 I have never seen snacks that looks so interesting and yum like these ones. I am not a snack person but these ones looks chunky and yum. Please can i have some now? Lol, kim i can't get any of these here in the shops it's so annoying. Love the way you feed me through your lovely post. those look more healthy than regular chips esp when they are baked instead of fried! i'll keep an eye out for them thanks! So glad to hear that Safeway has them. 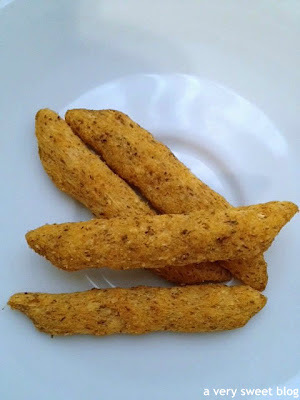 Hubby loves to munch and I want to keep him healthy--thanks so much for this post!!! I think I would be better snacking on these than my favourite chocolate biscuits! Baked not fried and interesting flavours, I would try them if they ever sell them in the UK. 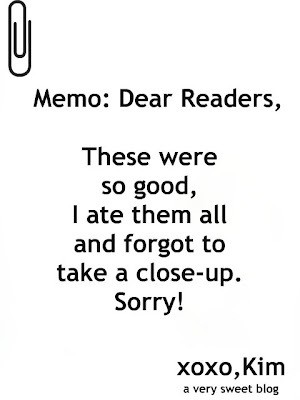 Your little memo really made me smile - they must have been good! Oh wow! Those flavors are intense! lol. Caesar? I want to taste some! Haha. 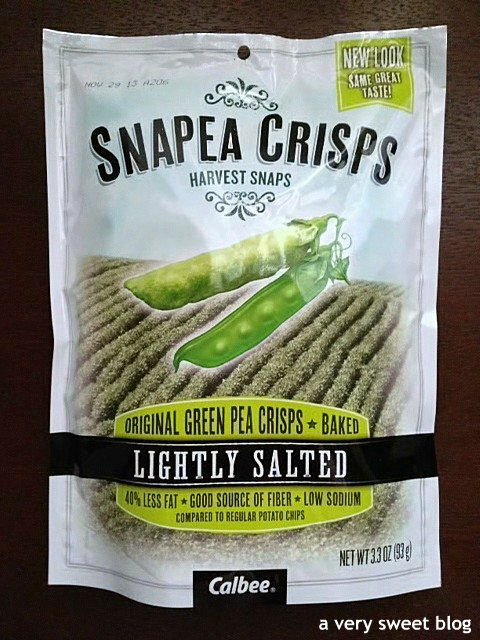 We have snapea crisps here too but they don't have a lot of flavor. Wish I can just grab one of those out of the monitor. lol. I am juicing and the problem with that is I need to chew!!! I think I will try the lightly salted ones. Thanks for the review.